This type of cancer forms in the breast cells. It is the most common form of cancer among women in the US after skin cancer. It affects both men and women; however it is more prevalent in women. Breast cancer survival rates have improved drastically over the years due to factors such as breast cancer awareness initiatives (which have helped in early detection), extensive research (which has led to better understanding of the disease) and proper governmental and private funding. Breast cancer occurs when breast cells begin to grow abnormally. The cancerous cells replicate at a faster rate than the healthy cells to form a lump. The cells may then metastasize or spread to other parts of the body. While studies have linked hormonal, environmental and lifestyle factors to breast cancer, it is not yet clear why persons with no risk factors also get cancer. These factors increase the likelihood of getting cancer, but they do not necessarily mean that you will automatically develop cancer if you have them. Women have a higher risk of getting breast cancer than men. History of breast complications, such as atypical hyperplasia or lobular carcinoma in situ (LCIS) increase risk of breast cancer. Family history. If previously a member of your immediate family was diagnosed with breast cancer, there is a higher risk of you getting the disease. However, most breast cancer patients have no history of the disease in their families. Risk of breast cancer increase with age. Radiation exposure during chest treatment, especially for children and young adults. Postmenopausal hormone therapy. 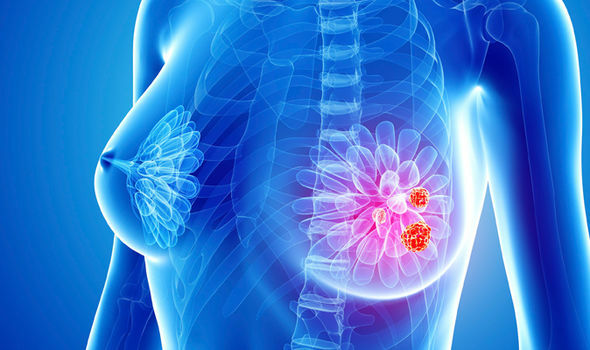 Hormone therapy treatments for menopause increase chances of getting breast cancer.